I love quick and easy Halloween crafts. One of my favorite projects are these Pumpkin Pillow Boxes that I made for Craft Lightning last year. 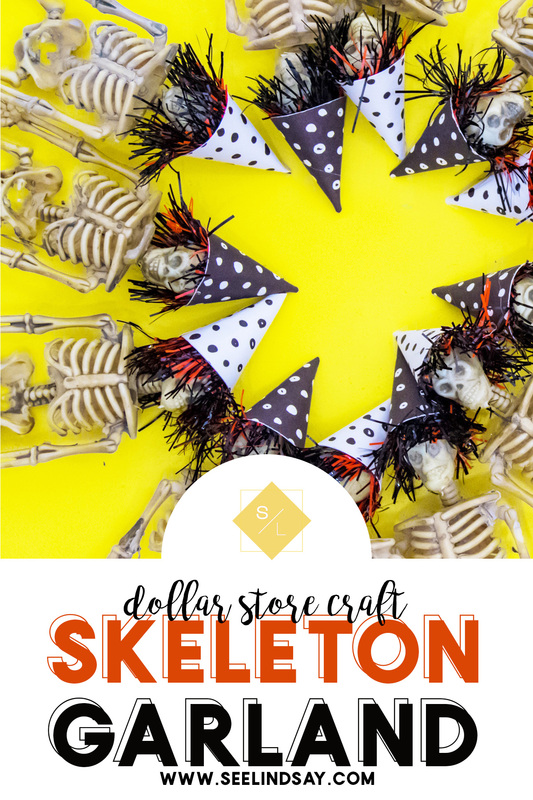 See how easy it is to create this inexpensive Halloween garland using items from the dollar store. 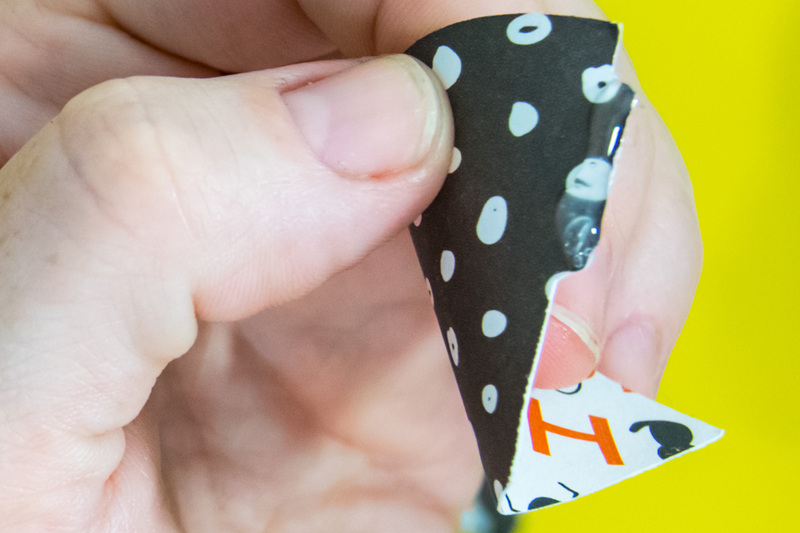 To fold a cone-shaped party hat, you’re going to want to start by rolling the edges on a pencil just to get it in the rounded shape. I just rolled each side with a pen I had on hand and then I placed a small dot of hot glue on to the tab. 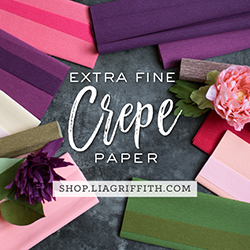 Fold over your party hat by matching the pointed end first. Then align the bottom while the glue is still warm. 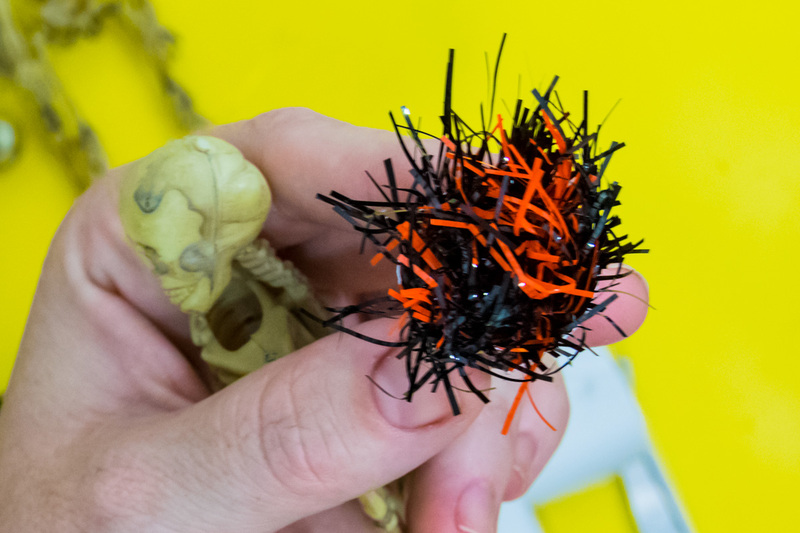 Place a bead of glue on the inside of your mini party hat and add the Halloween Tinsel to it. 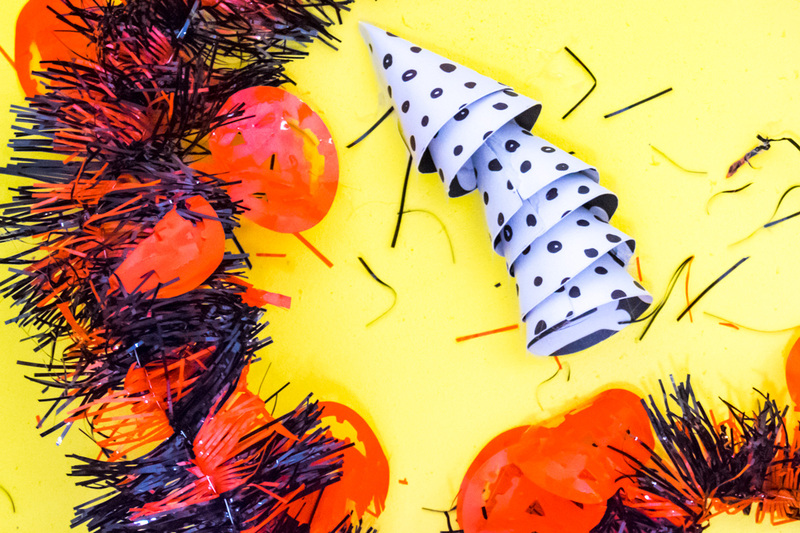 I cut the tinsel into 3″ sections and just stuffed it in the party cone. Trim any excess if you’d like. 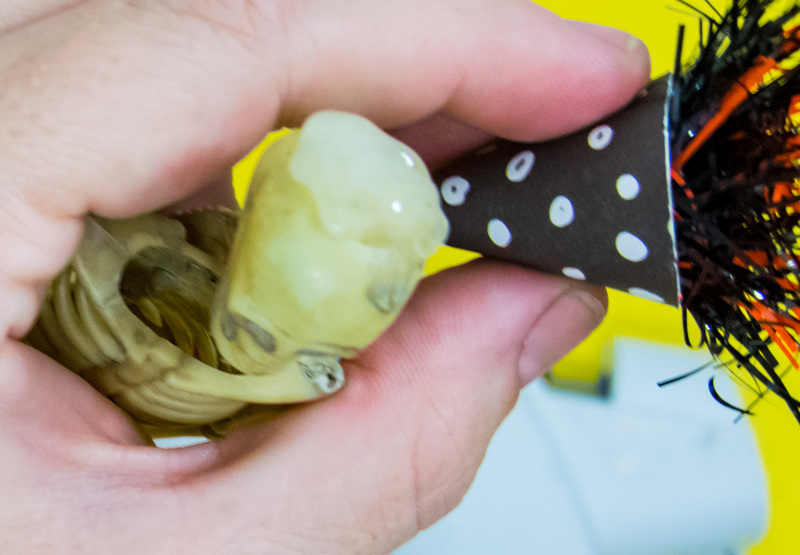 Add a large amount of the hot glue to your skeleton’s head and then place their mini party cone hat on top. Give your skeleton a haircut if he needs it. You’re going to do this to all of your skeletons. You can run your twine through the ribcage of your mini skeletons or add it and wrap it around each of the skeletons necks. 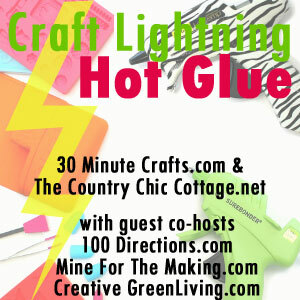 You may have to also use some hot glue to get the skeletons to stay where you’d like them as you’re hanging them. 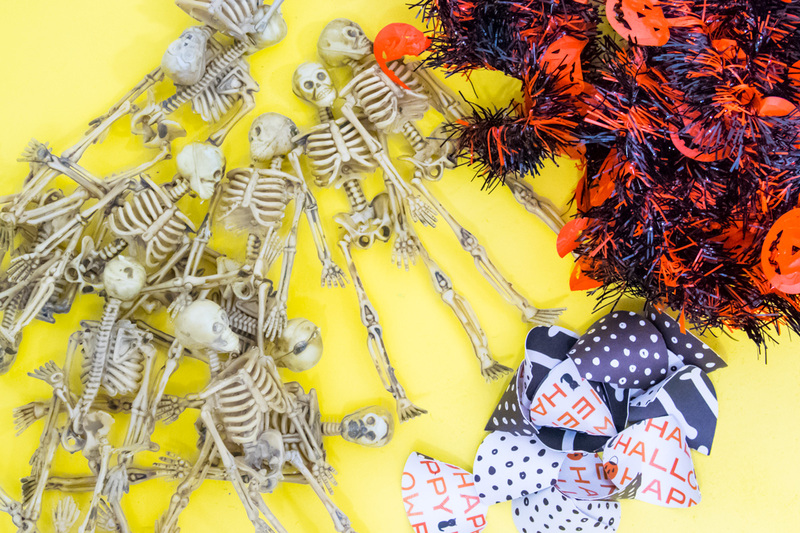 Where can I find these Halloween Garland Supplies? 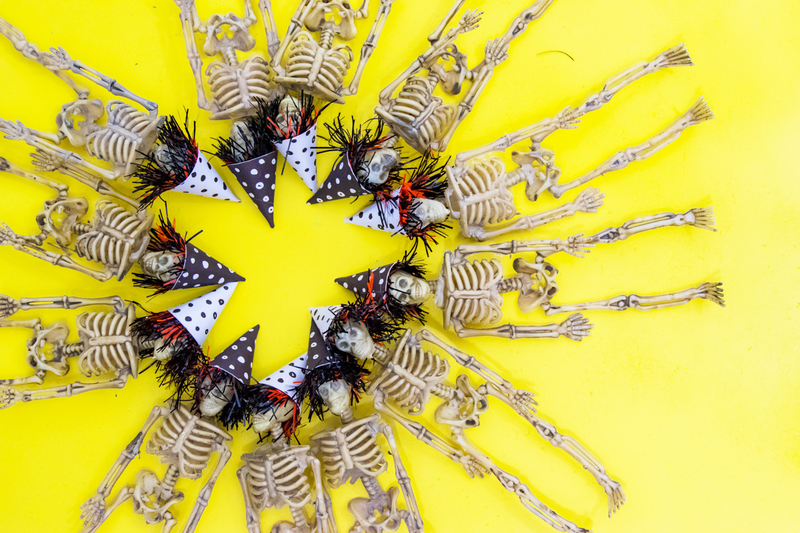 I found all of the tinsel and the skeletons at the dollar store. My paper is from My Mind’s Eye but they’re sold out and I don’t want to point you in that direction. 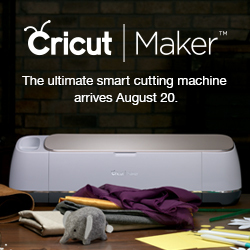 Just your local scrapbooking store or even a Joann or Michaels will work great. 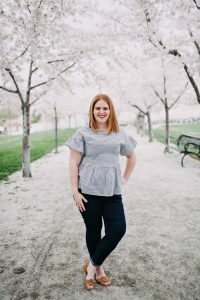 I linked all the supplies above to Amazon so that you can find these easily online. That’s it! 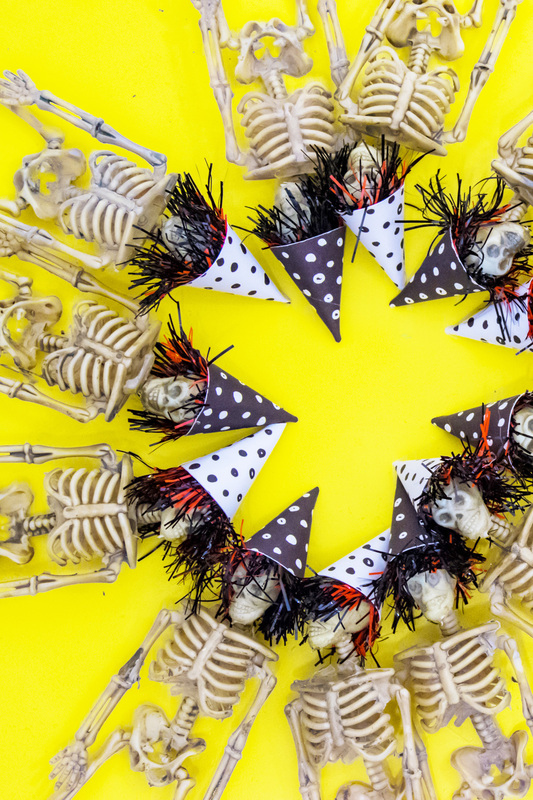 So easy and such a fun DIY Halloween garland and it’ll be a classic to have around for years.